Ron Clarke recounts the A-26 Invader’s use in Clandestine Operations within the Third Reich itself. Throughout 1944 the American 801st / 492nd “Carpetbagger” Group had been flying arms, supplies and agents from Harrington, Northamptonshire, into enemy occupied Europe. Together with the RAF Special Duty Squadrons from Tempsford in Bedfordshire and other bases, they had equipped resistance groups from Norway to Yugoslavia, much to the consternation of the German High Command. As the Allied forces fought their way towards the German heartland in 1945 there was an urgent need for intelligence information from inside the Reich. Resistance groups in the occupied territories were supplying valuable information to the Allied planning staffs, but installing agents into the hostile German environment was going to be very difficult. Both the British Special Operations Executive (SOE) and the American Office of Strategic Services (OSS) had been training agents for this purpose – mostly Germans with a proven hatred of the Nazi regime, and preparations now had to be made for their delivery. At Harrington the “Carpetbaggers” had perfected the use of specially adapted Consolidated B-24 Liberators for covert supply missions, but over Germany there would be no “friendly” reception committees to help the agents, and the highly developed German anti-aircraft defences would pose an unacceptable threat to the slow, low flying B-24s. It was decided therefore to adapt some of the newly introduced twin engined fast Douglas A-26 Invaders for the task. They were to be stripped of everything but the bare essentials for low level flying and it was hoped that they could fly in low and fast and be out again before the defences had time to react. The operation was given top security rating and the code name “Red Stocking” to cover the agent delivery and radio surveillance. 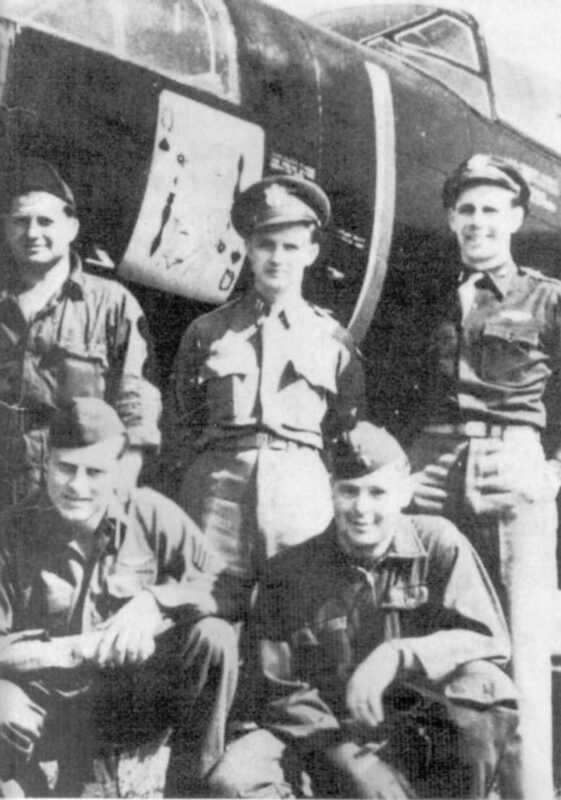 The crew of the A-26 was to consist of a pilot, general navigator, a “pilotage” navigator and turret gunner. The pilotage navigator was to direct the pilot from the transparent nose position having made a prolonged study of the route. The only space left for the agent was in the bomb bay! A small compartment was made in the forward section of the bay with a plywood floor, this was hinged on one side and secured on the other by two cable operated catches connected to the navigator’s position in the nose. Designed to take two agents the compartment rarely took more than one and did nothing for the peace of mind of the already apprehensive agent. Experience had shown that the US type back parachute fitted with a British quick release harness was ideal for agent dropping, this meant that he would have to make the journey lying on his stomach, two handles being provided to steady himself. 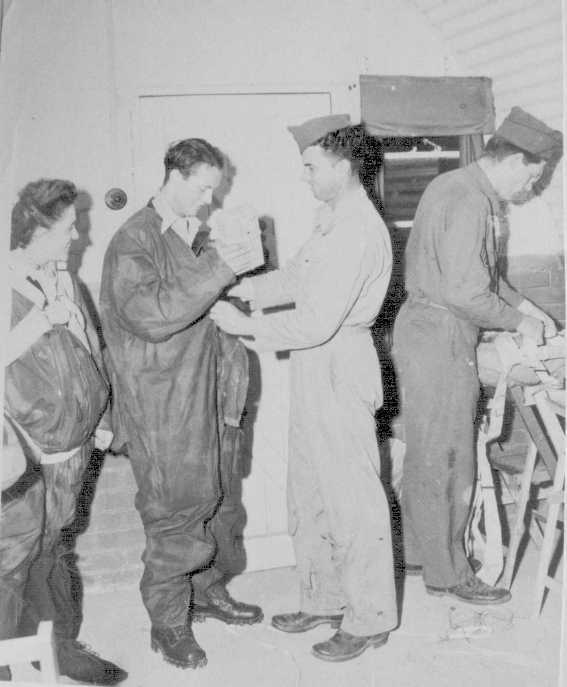 Like all agents (or “Joes”), flown from Harrington, arrival on the morning of the mission was with an accompanying OSS officer in an American staff car with blacked out windows. The agent was taken to a dressing hut in a remote part of the airfield, and final preparations were carried out in such a manner that he had no way of knowing the location of the point of departure should he be captured. In the dressing hut he was given the things essential for his survival – a Deutschmark laden money belt; pistol; concentrated food pack; silk map of his operating area, but most important was a small radio receiver (part of a sophisticated communications system codenamed the “Joan – Eleanor” set, described later. He also had forged papers and an entrenching tool. These and other small items were packed into pockets inside a voluminous quick release overall, known as a jump suit. He was given a final check on his new identity and occupation, given a meal and then encouraged to relax until take-off time. Shortly before departure he was driven to the A-26 dispersal hardstand on the eastern side of the airfield where the big Pratt & Whitney engines would already be warming up. He was helped into his position, entering the aircraft from the rear section of the bomb bay – once the crew had climbed aboard, the bomb doors were closed and they took off into the night sky. A few miles inland they descended to 300-400 ft and headed out over the North Sea relying on the radar altimeter – low level night flying was not recommended for the faint hearted! They crossed the enemy coast, avoiding known defences and airfields and proceeded on a dogleg course to the dropping point. The two navigators were fully extended during this time directing the pilot along the planned route. When they were a short distance from the drop point the pilot throttled back and selected enough flap to slow the aircraft down sufficiently for the agent’s exit. A warning light was switched on in the agent’s compartment for him to be ready to drop in five minutes. He then assumed a kneeling position and clipped the loop of his parachute static line onto a hook on the side of the fuselage. He had a panic button in case of emergency but when they reached the drop point the lever was pulled, the floor dropped open and out he went! The usual dropping height was 300 – 350 ft. The static line opened the parachute and he usually swung a couple of times before hitting the ground. He quickly discarded his helmet, parachute, harness and jump suit, used the entrenching tool to bury all traces of his arrival and became, to all intents and purposes, a law abiding German citizen. The only link with Harrington was the Joe’s radio mentioned earlier. The Joan – Eleanor system was specifically developed for Red Stocking Operations by two US radio technicians, Lt. Comdr. Stephen Simpson and Dewitt R. Goddard of the Radio Corporation of America – the code name referring to one’s wife and the other’s girlfriend. The system operated on 260 MHz, a frequency free at that time of enemy surveillance stations. The small “Joan” agent’s set had a range of about 20 miles. 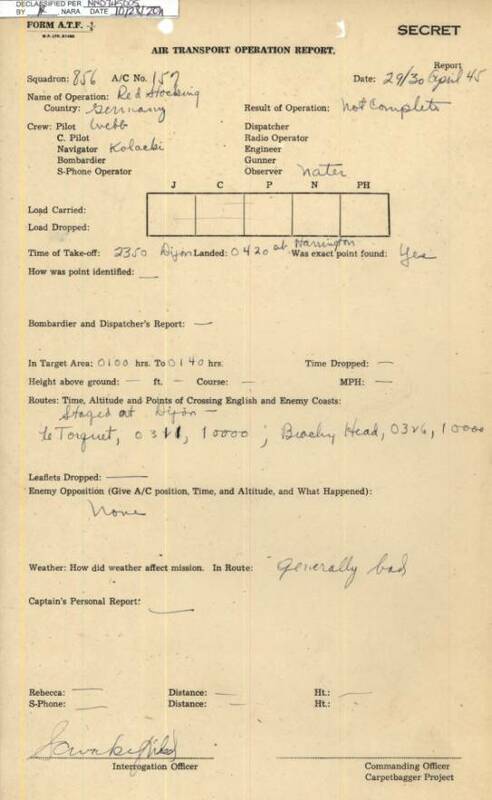 He was given a specific time, usually in the evening to transmit his report, which he did in plain language, the message being received by a radioman hunched in a small cabin installed in the rear fuselage of a DeHavilland Mosquito orbiting above at 30,000 ft. The “Eleanor” equipment on the mosquito was fitted with a wire recorder and the designers claimed that the voice recording could receive in 20 minutes what would take three days by coded Morse. Garbles and mistakes could be clarified on the spot. The original intention was to use B-17 Fortresses for the “Eleanor” but stooging around Germany unescorted, they were assured by the air force was not to be recommended in a Fortress. 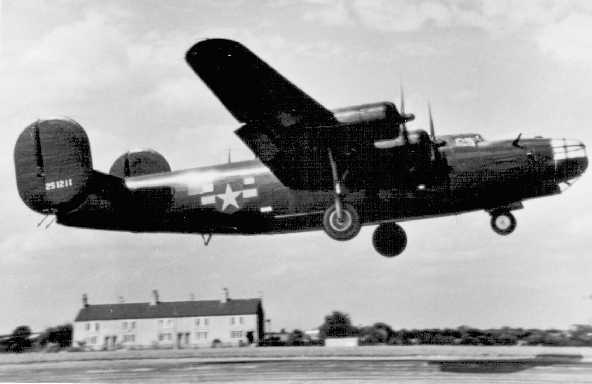 On the night of March 16/17 I flew a B-24 “Carpetbagger” mission out of England into eastern France and after completing it we landed at our temporary forward base at Dijon in France. I remained at Dijon for a few days while I flew into the “Redoubt” area of southern Germany and evaluated our operations out of Dijon. Knowing Fish’s reservations, Upham was faced with a dilemma but he decided that “if higher Headquarters want it flown now – we must do it”. He decided that the best chance of success was to use experienced staff officers to crew the aircraft. The Group Navigation Officer, Major Edward Tresemer, was to be “pilotage” navigator (Tressemer had been with Fish since their days flying Douglas B-18 Bolos on anti-sub patrols off the US East Coast). The pilot was Lt Oliver H. Emmel and John Walsh, another long serving navigator, took the navigator’s seat while the gunner position was occupied by Platoon Sergeant Frederick J. Brunner, US Marine Corps. Their passenger was a German OSS recruit Kurt Gruber. At 11.45 hours they took off into the night from Harrington and were never seen alive again. The Red Stocking missions were mainly successful. Agents transmitted vital information needed by the Allied Military Intelligence. 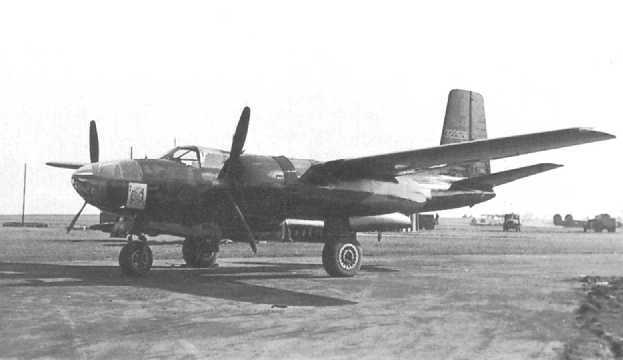 After the first tragic failure, the A-26’s operated without further loss and the Mosquito surveillance missions managed to contact most of the agent’s transmissions. Memorandum by Lt Comdr Stephen Simpson co-inventor of the “Joan-Eleanor” system concerning the loss of the A-26C on the first Red Stocking mission. On March 19th orders were given and cancelled several times to fly the CHISEL mission (the first A-26 operation). It was brought to everyone’s attention that the A-26 needed a 100 hour check and the radio altimeter needed recalibrating. The Loran and Gee navigation systems needed checking and that Lt Emmel had insufficient in the A-26 – he had only flown it twice at night. Major Tresemer had only been in an A-26 once before and had been completely bewildered by “ground pilotage” at such a speed. None of the crew – pilot, navigator or bombardier had ever flown together before, and were unfamiliar with the ship as a whole. It was finally decided to put the ship into the hanger for repair and inspection. At 4 o’clock Comdr Simpson heard a rumour that Col Upham had again changed his mind and proceeded to headquarters to find that this was true. Upon advising Col Upham that both engines were down, that the altimeter was not operating properly he was told to call the hanger and get the ship back into commission and have it ready by 7.30. The aircraft did not return from the mission, it was found after the war on a moor in Germany with the remains of the crew. Although this train of events may sound inconceivable it shows the almost impossible decisions expected of a commanding officer during those hectic times. Allied and German commanders had to issue orders that were virtual death sentences to their airmen. Commander Simpson’s report was filed and marked “Top Secret”. Major Tresemer, Major Walch, Staff Sergeant Brunner and German OSS recruit Kurt Gruber are all interred in the hallowed grounds of the Ardennes American Cemetery. 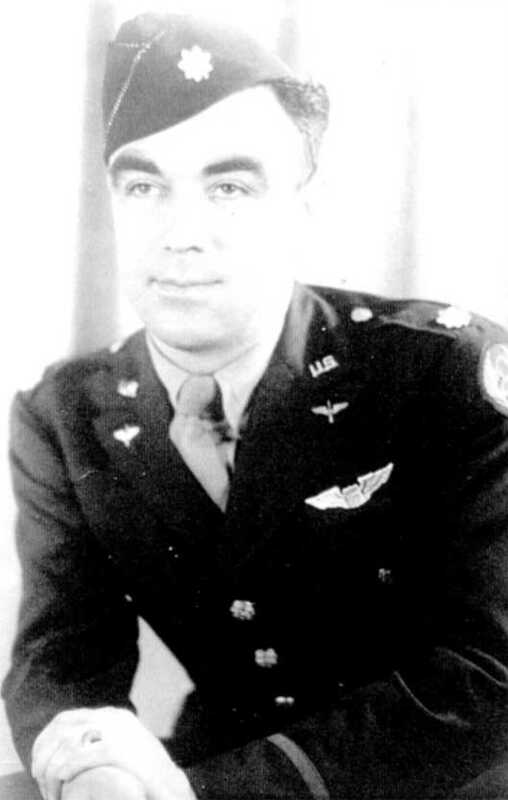 Major Edward C. Tresemer was Group Navigator of the 492nd Bomb Group whilst 1st Lt. Oliver H. Emmel and Major John W. Walch were on detachment from the 25th Bomb Group. The reason for the presence of Staff Sgt Brunner is a bit of a mystery. Frederick Brunner was detached from the USMC and worked for the OSS. He had been involved in resistance training and support operations in the Vercors maquis in France, a month before the 15 August 1944 landing (see https://archive.org/stream/HerringboneCloakGIDaggerMarinesOfTheOSS#page/n59/mode/2up , chapter IX “Who knew not fear”). He spoke German, but there appears to be no mention that he participated in the Tools mission with which Kurt Gruber was associated. I have noted the description of the Red Stocking missions. It mentions the A-26 aircraft as the plane used. Please be advised that it was found that the British Mosquito aircraft was superior to the A-26 for these missions. That plane could fly faster and at a higher altitude than the A-26. The Mosquito flew at an altitude up to 40,000 feet at a speed of up to 450 miles per hour. It’s crew consisted of a pilot and a navigator (I was a navigator on the Red Stocking missions almost to the end of the war in April 1945.) 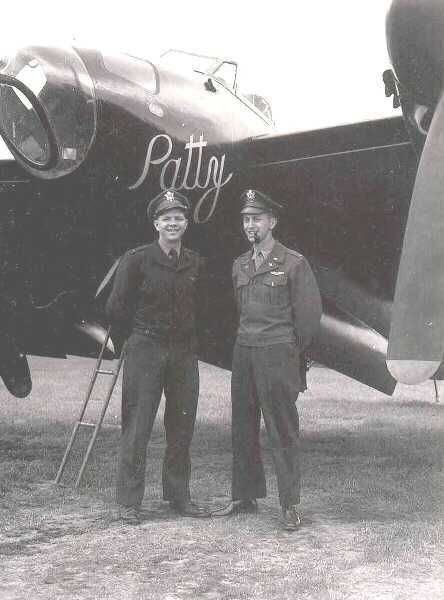 Only one OSS operator in the belly of the plane was required, In fact, several years ago, I wrote an article on Red Stocking missions for the Mosquito Air Crew Association publication. I never flew in an A-26 on these missions. A year ago, the History Channel on cable TV did a 45-minute special on the Mosquito. It mentioned its use for the Red Stocking Joan/Eleanor missions. The article I wrote for the Mosquito Air Crew Association was reprinted in the Carpetbagger News Letter earlier this year. I might mention the Mosquito had two Rolls Royce Merlin engines for the Red Stocking missions. The plane was made out of plywood. I would greatly appreciate your adding this information to your web site. Your web site describes the Red Stocking mission as delivering agents and radio communications with OSS agents in enemy territory. Unfortunately, you have listed the term “Red Stocking” out of context, from its original purpose. The operations themselves were not named Red Stocking. If you research the OSS records at the National Archives in Washington, DC. there is no mention of Red Stocking in the 12,000 pages of documents covering these secret operations. The operations are titled the “Joan-Eleanor Project, or the JE Project” among the official documents. Never is the term Red Stocking used in this regard. When the OSS operations began at Watton in September 1944, under the 25th Bomb Group Rcn, the group headquarters wished to receive credit for all the missions flown for the OSS. So for statistical purposes they labelled all missions flown for the OSS as Red Stocking. In the monthly reports sent to 325 Recon.Wing HQ the various types of mission flown were covered by various nomenclatures, and all OSS mission fell under the title Red Stocking title. Technically, there is no such “project” as Red Stocking – it was known by the OSS as the Joan-Eleanor Project, but the USAAF classified these OSS missions, for statistical purposes, as Red Stocking. Therefore, Red Stocking is a USAAF term “not used” by the OSS. Steve Simpson once told me he never heard the term Red Stocking until after the war when he read articles mentioning the 492nd BG Red Stocking missions. 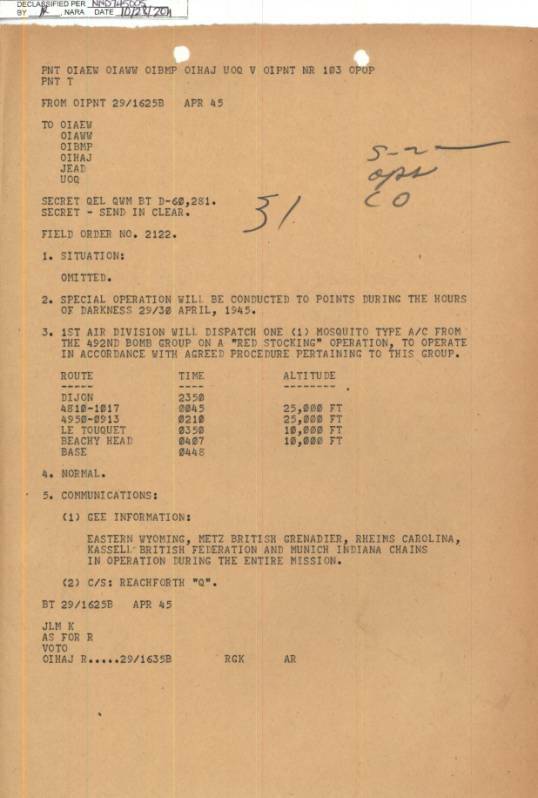 492nd Bomb Group Air Transport Operation Report dated 29/30 April 1945 clearly showing RED STOCKING as the name of this operation carried out by Mosquito PRXVI, serial No RG157 piloted by 1st Lt Sam N. Webb with 2nd Lt Edward P. Kolacki as Navigator and Jean M. Nater as the Joan-Eleanor operator.